Prior to co-founding Alpha JWC Ventures, Jefrey was the Chief Operating Officer (COO) of Groupon Indonesia, the leading daily deals site in Indonesia where he focused on the technology, customer experience and fulfillment. 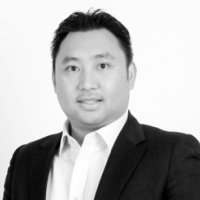 Jefrey was also a strategy consultant at The Boston Consulting Group, and an active Angel Investor in early-stage technology startups in US and Asia, which includes aCommerce (South East Asia’s leading e-commerce fulfillment company), Shopline (mobile focused DIY e-commerce store based in HK), and Vantage Sports (the premier analytics service for NBA teams and media). Given his tech operations and product management experience, Jefrey would focus on helping the entrepreneurs on the right business strategy / model, how to scale up the business sustainably and achieve operational excellence. Jefrey is an active member of Indonesia technology community where he is an Advisor at Angel Investment Network Indonesia (ANGIN) and a Mentor at The Founder Institute. Jefrey obtained his MBA from UCLA Anderson School of Management and London Business School. He also attended the Summer Business Scholar Program at The University of Chicago Booth School of Business.